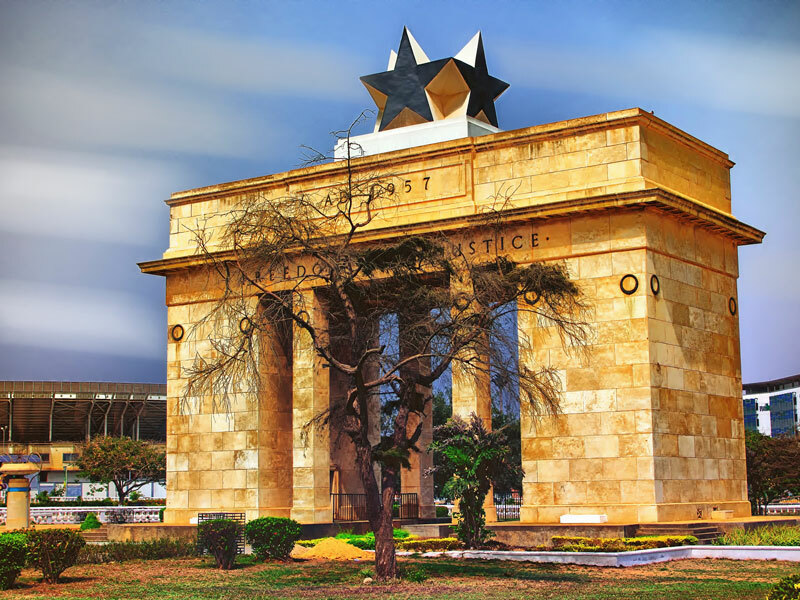 Ghana is one of the most abundant nations in the world in terms of natural and human resources. The country’s varied landscape consists of four main segments: forest, semi-forest, savannah and semi-savannah. Moreover, five out of its 10 regions have a coastal belt. Each of these segments and regions offers a wide range of natural resources, including different types of fruits, precious minerals and wood. They also boast salt, oil, gold, diamond, manganese, bauxite, iron, granites and marble, as well as cash crops such as cocoa, coffee and cotton. With a population of just under 30 million, the country is home to great engineering talent, together with numerous medical and academic doctors, agriculturalists, artisans, financial managers and economists. And yet, despite its vast resources and highly skilled labour pool, Ghana continues to underperform. Thanks to a huge trade deficit, the depreciation of its currency persists, while its unemployment rate has also increased in recent years. Our market is the defensive type. At present, there is a huge equity gap between micro, small and medium-sized enterprises (SMEs) – which form around 85 percent of the market – and large companies. It is clear, therefore, that after the industrialisation of the market, one of the best strategic policy options we have at this point is to make use of microfinance institutions (MFIs) – organisations that offer financial services to low-income populations. Indeed, the SME industry in Ghana is woefully underperforming due to the difficulty in both accessing funds and leveraging integrated IT to improve operations. Furthermore, most SME actors lack the requisite abilities or skills, as there is no formal training offered by most governments in Africa, including Ghana. The MFIs that do exist in the country often become bankrupt and collapse, thereby making it difficult for market players to access the support they need to succeed. Aside from the difficulty in accessing funds, a lack of automated systems, inconsistent power supply and the high cost of funds also add to the challenge; default rates, meanwhile, remain high. Sadly, the industry does not get the necessary attention it deserves from local authorities. This has created a huge gap between local markets and macroeconomic performance, resulting in a low standard of living across the country. Low-income earners are the group in need of most assistance, but unfortunately, they form the majority. Agriculture is the backbone of our economy and, unsurprisingly, its players are low-income earners. The banks in Ghana rarely lend to farmers or other agricultural actors. Many of the country’s MFIs only support those farming vegetables, and so offer few enterprises long-term loans. Instead of boosting our economy, this results in a great deal of our SMEs underachieving. The result is that economic growth currently only benefits the few, instead of the many. In fact, this is one of the most cited reasons why African countries do not attain long-term economic growth and stability. When managing its discretionary budget, the government rarely considers MFIs. As such, according to the Bank of Ghana, the number of licensed MFIs in Ghana is only around 320. However, SMEs in Ghana serve approximately 90 percent of the population, demonstrating that the number of MFIs is woefully inadequate given the market size. This has contributed enormously to a low standard of living, a situation believed to be prevalent in most of Africa’s developing economies. However, the expansion of MFIs in all developing countries is essential. At present, the most challenging factor is that women and young people, who are the chief actors in Ghana’s MFI industry, lack the necessary know-how and capacity-building skills. Consequently, the population’s value is extremely difficult to realise. A large number of our young people are not in business, although there are many potential entrepreneurs among them. The inadequate number of MFIs has also created an imbalance between supply and demand, thereby contributing to the high cost of borrowing for SMEs. Africa’s MFI industry, together with reducing its reliance on leading economics, is a global concern. Africa, and Ghana in particular, must be able to organically develop a sustainable economy with very little support from other parts of the world, which can be achieved by identifying and maximising our core strengths. It is absolutely crucial for us to attain our ultimate goal of leveraging MFIs in order to develop the Ghanaian economy.